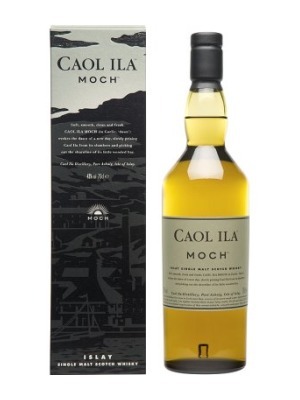 Caol Ila Moch Islay Single Malt Scotch Whisky is a popular Whisky available from TheDrinkShop in 70cl to buy online. Visit TheDrinkShop for the best price for 70cl of Caol Ila Moch Islay Single Malt Scotch Whisky or compare prices on our other Whisky products. Lashings of smoke across the aroma, leading into lavish, buttery lemon sherbert notes and a salty tang of sea breezes on moorland grasses. Soft, glossy, pristine and fresh. Where to buy Caol Ila Moch Islay Single Malt Scotch Whisky ? Caol Ila Moch Islay Single Malt Scotch Whisky Supermarkets & Stockists. You can buy Caol Ila Moch Islay Single Malt Scotch Whisky online in most retailers and find it in the Whisky aisle in supermarkets but we found the best deals online for Caol Ila Moch Islay Single Malt Scotch Whisky in TheDrinkShop, Waitrose Cellar, and others. Compare the current price of Caol Ila Moch Islay Single Malt Scotch Whisky in 70cl size in the table of offers below. Simply click on the button to order Caol Ila Moch Islay Single Malt Scotch Whisky online now.